At the IIFA 2018 awards ceremony, Arjun Kapoor wore a Giorgio Armani suit with a Tom Ford scarf and a Burberry bow tie. Have to say, didn’t like this look on him. Maybe the pairing of the scarf and the bow tie together was a bit much. Picking just one of the two would have salvaged the look. 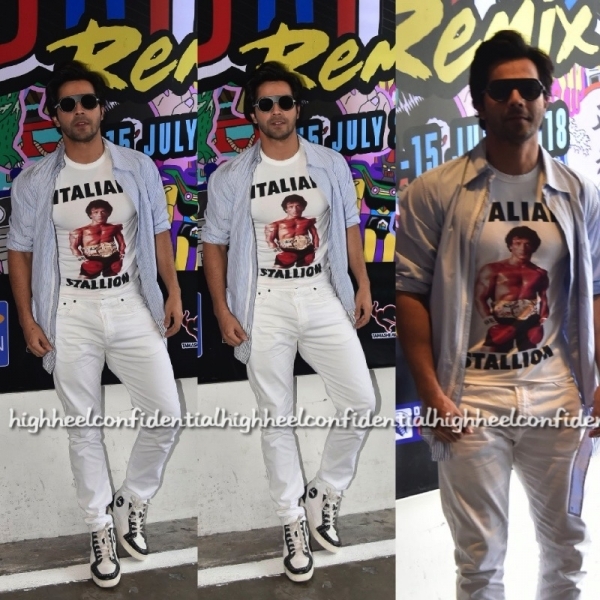 On Day 2 of IIFA 2018, Varun Dhawan kept it casual in a Phillip Lim jacket and a Sylvester Stallone tee. For the awards ceremony on Day 3, he opted for a Tom Ford suit. Definitely preferred these appearances over Day 1’s looks! Side note: What are your thoughts on the high heeled boots he is sporting? 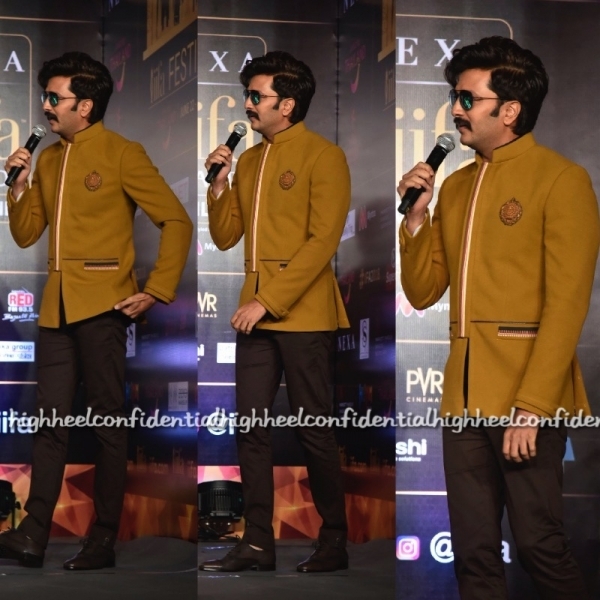 Ayushmann Khurrana was spotted wearing suits on both days of IIFA 2018. On day 2, he picked a Giorgio Armani suit with loafers from Christian Louboutins. On day 3, he wore a Rohit Gandhi Rahul Khanna one. He looked good in both! Ranbir Kapoor picked a Tom Ford suit for the IIFA 2018 Awards ceremony in Bangkok. Though not a novel look, there is no denying he looked good!